Loving the sport of golf is one thing, but being able to wake up every morning with easy access to a world-famous golf course is a dream come true if you’re a person whose passion for the sport is second to none. 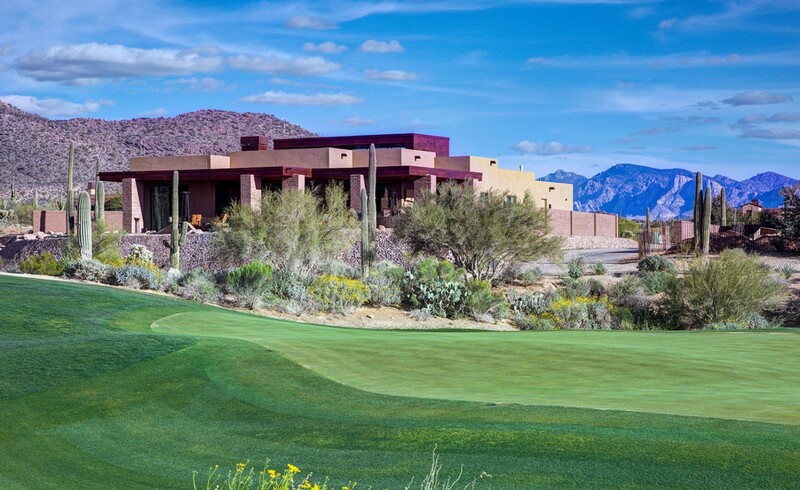 This is exactly why golf enthusiasts who are in the market for a luxury home are looking to Dove Mountain in Marana to enhance their home buying experience. The Residences at Dove Mountain is a luxury home community perched atop a world-class golf course designed by the legendary champion Jack Nicklaus. This pristine green provides an outstanding platform on which to perfect your game. The golf course at Dove Mountain is both challenging and entertaining with 27 holes at elevations ranging from 2,300 to 3,200 feet. Bordering the golf course, The Residences at The Ritz-Carlton, Dove Mountain is a community that contains the most desirable luxury homes in Marana, Arizona. Each home is completely customizable, allowing you to escape mundane cookie-cutter neighborhoods in favor of unique and distinguished houses. With a spectacular landscape and unbeatable mountain views surrounding you in every direction you turn, the impeccable scenery completes the picture. As a homeowner at The Residences at The Ritz-Carlton, Dove Mountain in Marana you will have access to The Golf Club at Dove Mountain, as well. The Club is an excellent perk to residents, as it offers the perfect place for entertaining friends or grabbing a bite to eat after a good game of golf. Recharge in the steam room or work off some daily stress by utilizing the Club’s premier fitness facility. The 45,000 square foot clubhouse offers an abundance of excellent amenities, and it’s a great amenity for every homeowner in the community. As a member of The Ritz-Carlton managed community, you’ll enjoy other features that add to the luxurious lifestyle that’s been created at Dove Mountain. You’ll have access to concierge services offered by The Ritz-Carlton in case you need assistance planning a night out or wish to get suggestions about great eateries around town. You’ll also be able to enjoy services from The Ritz-Carlton’s personal chefs, house cleaners, and spa, if and when you choose to use them. The community’s nearby activities are virtually endless. Enjoy hiking on the many trails around the area, go horseback riding, or grab your friends for a game of tennis. Experienced guides are available to help you with your explorations, should you wish to use them. Dove Mountain in Marana is a place where luxury living and incredible landscapes come together with the best activities, social settings, and stunning houses in the area. The Residences at The Ritz-Carlton, Dove Mountain in Marana offer the perfect place for golf enthusiasts to build or buy a home. Contact our team to learn more about the beautiful luxury homes surrounding The Golf Club at Dove Mountain in Arizona.